Can you believe school is starting back up soon?! I’m still in shock. One way that I cope with life getting busy again is by finding shortcuts. One of my breakfast shortcuts is making a yummy breakfast even easier. 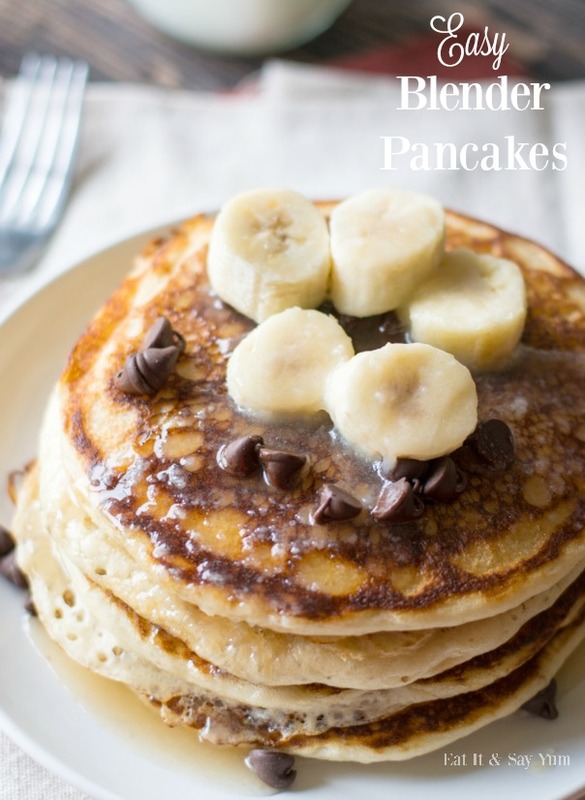 These pancakes are quick and easy to throw together because you make them in the blender. No using multiple bowls, no whipping egg whites, and you still get these fluffy, delicious pancakes. I know there are store-bought pancake mixes out there, but I just love the taste of homemade. And you just can’t beat a buttermilk pancake! In fact it’s the buttermilk that helps make these so fluffy. You could use a buttermilk substitute, but don’t expect the same results. I love these thick fluffy pancakes that work great for soaking up extra syrup. Mmmmm, who doesn’t love syrup?! 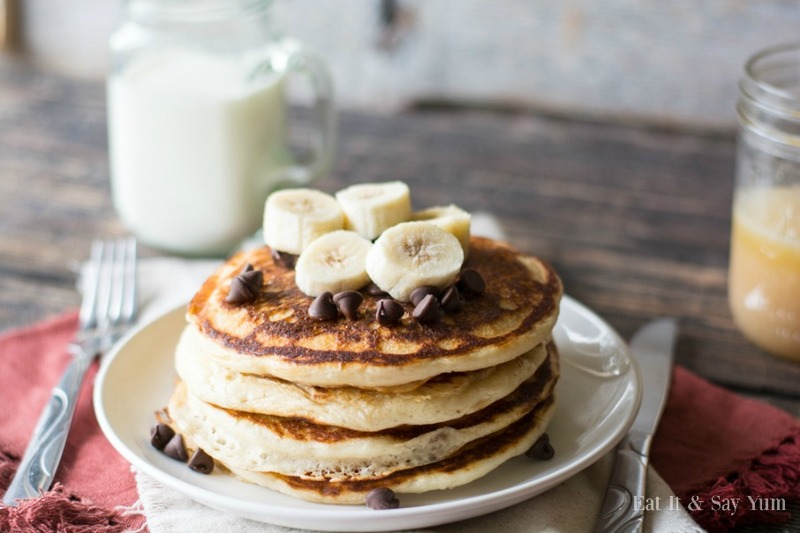 These vanilla, buttermilk pancakes are great for adding your own favorite toppings. Like chocolate chips, sliced bananas, strawberries, raspberries, blueberries, peaches, whipped cream… you get the idea. Sometimes I even add a banana in the blender with the batter to make banana pancakes. Works like a charm. 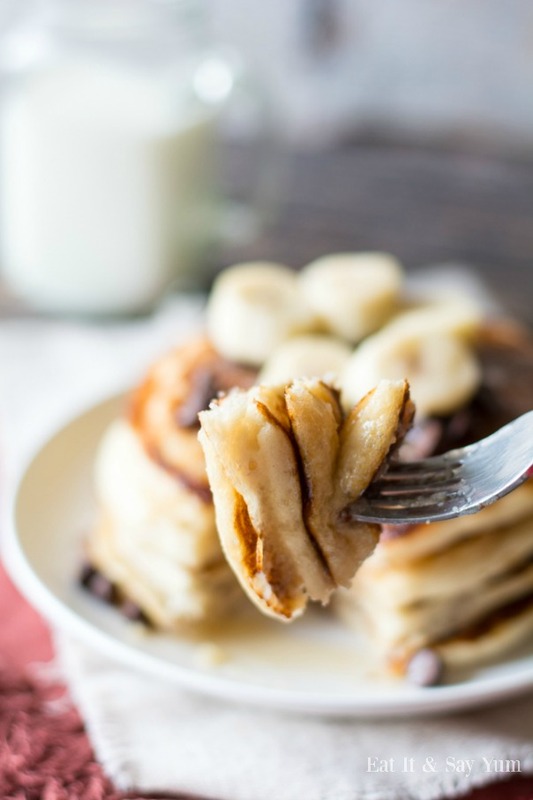 So, as you are getting ready for back to school, help yourself out by putting these quick, homemade, delicious pancakes on your breakfast menu. You won’t be sorry! Preheat your griddle to medium heat. Add all ingredients to your blender- starting with the wet ingredients and ending with the dry. Blend everything until smooth, about 10 seconds. Scrape the sides of the blender if needed, then blend again for a few more seconds- until everything is blended. Grease your griddle (or pan on the stove) and pour some batter to make about 4 or 5 inch pancakes. Let cook until bubbles have formed on the top of the pancakes and begin to burst. The bottoms should be golden brown, then flip the pancake. Continue with remaining batter until all pancakes are cooked. Serve pancakes with your favorite syrup and toppings. Leftover pancakes can be frozen for another day.